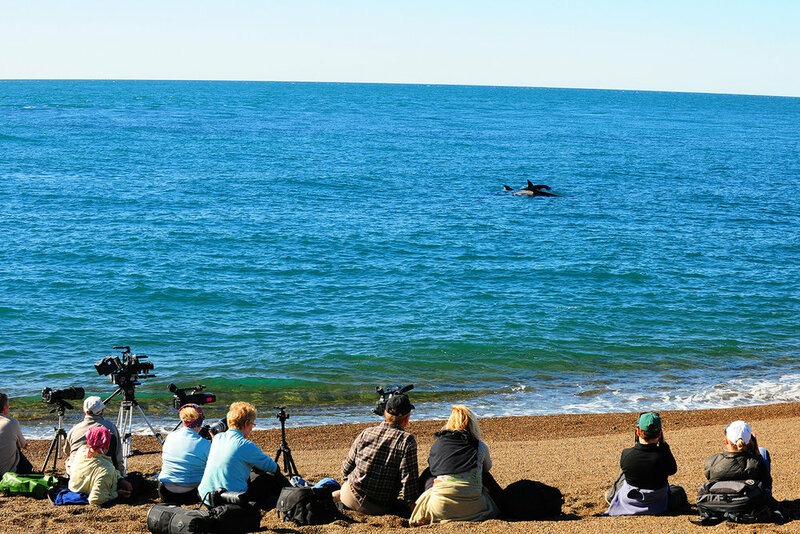 We are headed to the peninsula Valdéz which is located in the North-East of the Argentinian province of Chubut on the Atlantic coat for an opportunity to photograph the famous “intentional strandings” of orcas. 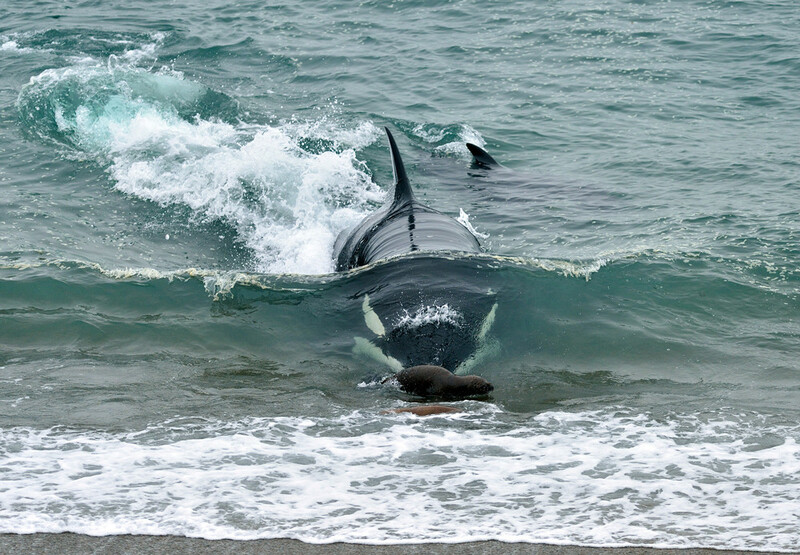 The orcas have learned an interesting hunting behavior where they beach themselves in an attempt to catch seal pups on the shore line. This area we are visiting is an important nature reserve, which was classified as a World Natural Heritage site by UNESCO in 1999. The Peninsula consists mainly of sparse landscapes with some small salt lakes. It is of particular importance because of the marine mammals that inhabit the coastline: sea lions, elephant seals, dolphins and fur seals. Southern Right Whales can be found in Golfo Nuevo and Golfo San José which are protected areas in the ocean located between the peninsula and the Patagonian mainland. 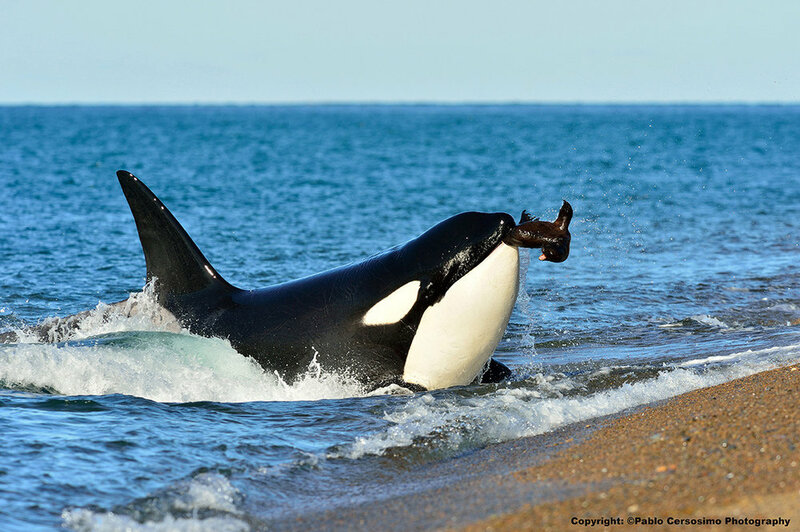 However, Valdéz became famous for the orcas and their spectacular hunting technique, which is why we are headed there in hopes of witnessing this amazing event. Day 1 - We will pick you in the early morning from the airport and drive you to our cabins where you stay for the week on the peninsula Valdez. Day 2 - 6 - We will spend the next five days wildlife watching and waiting for the orcas to begin the hunt. These are long days scanning for orcas and watching the local wildlife for activity.